Thanks to the generous nature of our network of family, friends, co-workers, and their friends as we celebrate our 18th year of the Santa Program. Our goal is to help families that have come on hard times due to our economy and not their lack of trying to make a living wage. In our efforts to help as many as possible we teamed up with Cornerstone Community Outreach because they offer shelter and services to homeless and low-income families and individuals through a variety of programs on the North-side of Chicago. An area we feel that is desperately underserved. 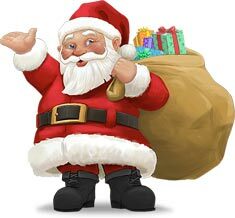 We hope we can count on your support to help spread the word so we can continue to help as many children and families as possible to have another very merry holiday. Whether it's your first year getting involved, or you're part of our growing family of supporters. 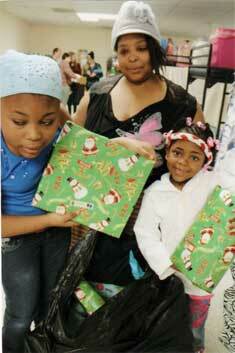 Every supporter of our program helps make one more child or family happy over the holidays. You choose how you'd like to show your support, you can either make a monetary donation and we do the shopping for a specific child or family (based on your donation amount), or as always if you prefer you can shop for a child or multiple children (we'll send you information about who you're supporting after you sign up. Ready to learn more about our program or make a donation? Please click here.